I started this page with just a few photos from February 2012 and our trip to Haddonfield, NJ to try and pick up our 1937 Ward LaFrance Ladder Truck. Now this page is an archive of all the photos relating to our historical 1937 Ward LaFrance. Had I know the emotion that this truck would inspire and the wonderful and generous people we would meet in the process, I don’t think that I would have believed the story. 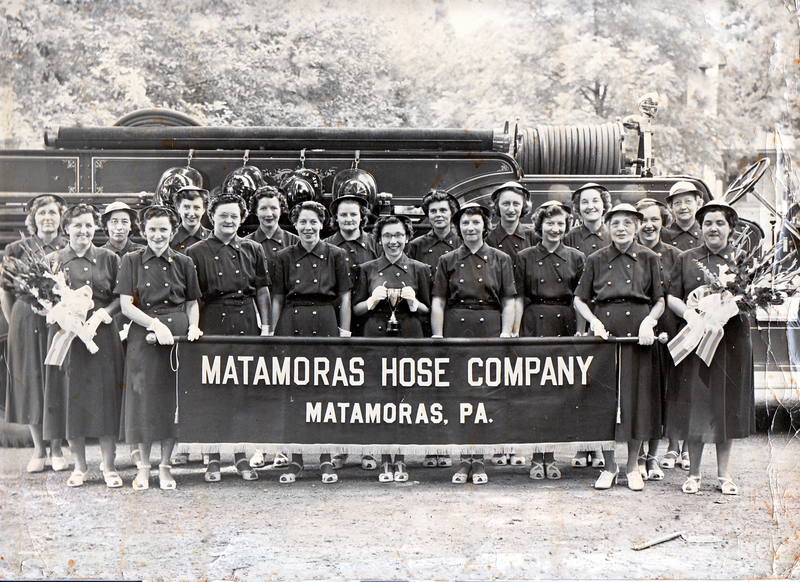 To start, the Borough of Matamoras bought the truck in 1937 for $8,323.00 and the truck was in service through the early 1980s’. In 1985, the truck was sold to Frank Fabian of Newtown, PA. Frank meticulously restored the truck to perfection and in 2004, sold the truck to Dr. John Stambaugh Jr. Upon Dr. Stambaugh’s passing, his family contacted the Matamoras Fire Department and generously donated the truck back to The Matamoras Fire Department. We would like to express our sincere thanks to the Stambaugh family since without their extreme generosity, this dream would never have become a reality. Another person we would like to thank is Jeff Clune of Deerpark Oil. Jeff donated his tractor and trailer to us for the trip to Haddonfield NJ. Without Jeff’s generous donation, we would most likely have not been able to get a truck in time to meet the weekend deadline and missed “an opportunity of a life time”. We would also like to thank is Dave Felton of Felton Trucking in Toms Rover NJ. Dave is the owner of the Roll Off trailer who helped us in a pinch to load our truck. Without Dave, we would not have been able to load our 1937 on the trailer we brought with us. February – 2012 – after nearly 27 years, our 1937 Comes Home ! Here are some very unique documents – including the original proposal from Buffalo Fire Appliance Corporation! Please note that these two documents are L A R G E pdf files, so please be patient. If anyone has any photos or questions, please don’t hesitate to contact us. If you find our page and need an excerpt from our 1937 Original Ward LaFrance manual (Thanks to Frank Fabian) we’ve got it.